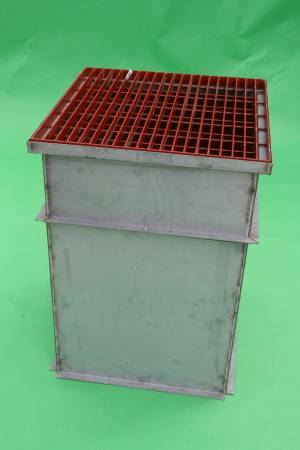 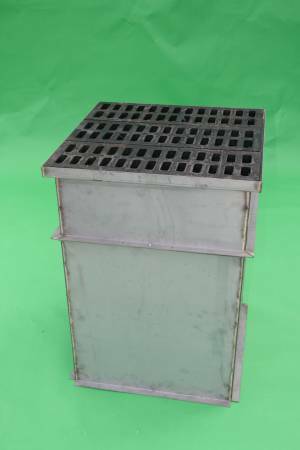 Box is made from G 90 CS-B galvainzed material. 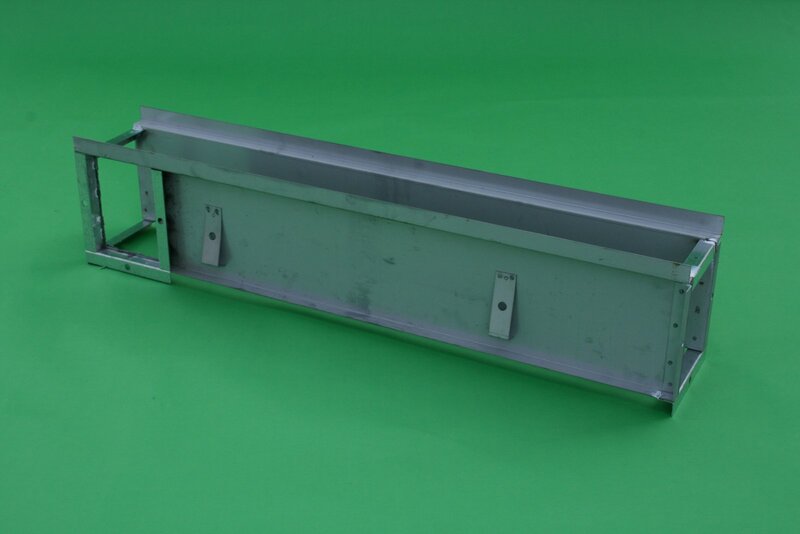 NOTE: The trench drain channels are 2″ narrower to provide bed for grates. They are to be surrounded by concrete of adequate thickness. 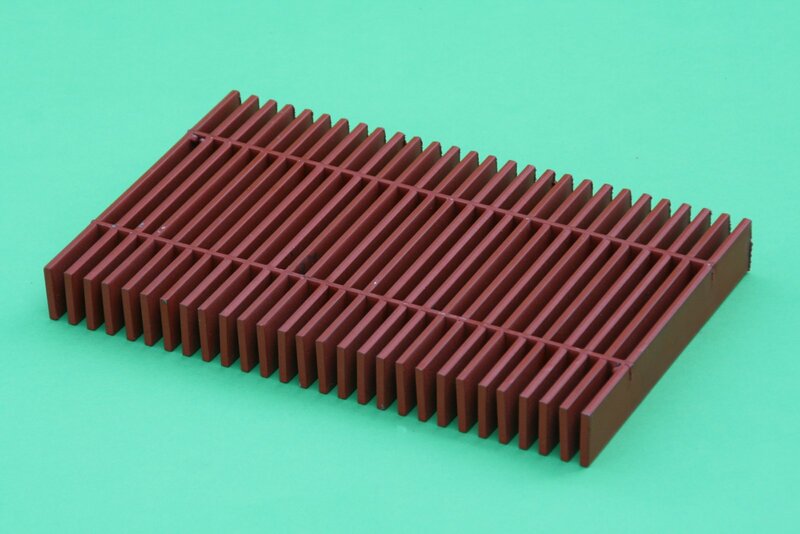 Minimum thickness of 4-6 inches. 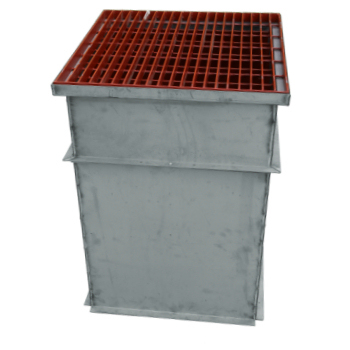 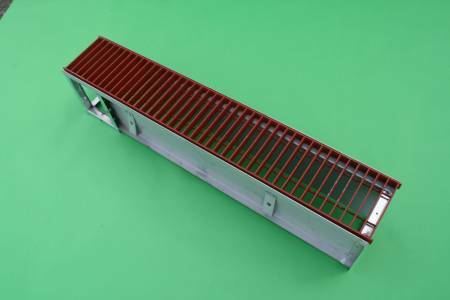 Type 1 – Standard strength steel, welded and framed bar type grates. 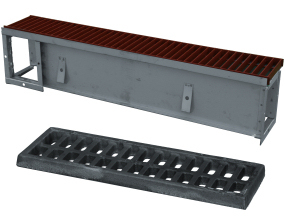 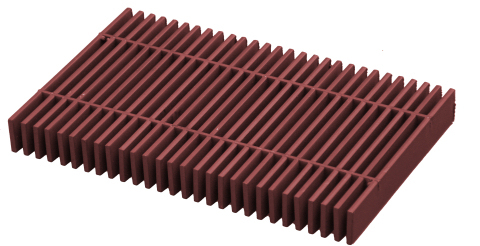 Type 2 – Re-enforced steel grating by means of 2 – 1/4″ x 2″ bars welded long direction, underneath to each width bar. Type 5 – 1/4″ Diamond plate, solid cover, with welded spacers to fit boxes of 1 1/4″ OR 1 1/2″ height to provide proper flush grade level. NOTE: Grates are available in grating size of 6″, 8″, 10″, 12″, 14″, 17″, 23″ and 27″ widths.